Member registration includes: All conference sessions, Day 1, 2 and 3 lunches, Exhibitor Reception and the Old West Cowboy Chuckwagon Dinner Event. 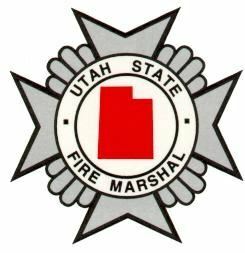 PLEASE NOTE: Fire Marshals Forums are for NASFM Principal Members only. Non-Member registration fee includes: All conference sessions (with the exception of Fire Marshal-Only sessions), Day 1, 2 and 3 lunches, Exhibitor Reception and the Old West Cowboy Chuckwagon Dinner event. The Life Member complementary registration includes: admission to all general sessions, Day 1, 2, and 3 lunches, Exhibitor Reception and the Old West Cowboy Chuckwagon Dinner event. Includes day 1 breakfast welcome event, day 1 and 2 lunches, Alpine slide/zip tour, Family History Library tour, Temple Square Museum tours, Olympic Park tour, and the Old West Cowboy Chuckwagon Dinner event (exact events subject to change due to availability). One-Day Registration fee includes: lunch and conference sessions, with the exception of Fire Marshals Only Forum and the Old West Cowboy Chuckwagon Dinner. A separate registration is required for the Old West Cowboy Chuckwagon Dinner event. One-Day Registration fee includes: lunch and conference sessions, exhibit hall access, with the exception of Fire Marshals Only Forum. One-Day Registration fee includes: lunch and conference sessions, with the exception of Fire Marshals Only Forum. Exhibitor booths are priced to include two attendees. This is for an additional exhibitor(s) at your booth or table. After registering please email the additional attendees name to admin@firemarshals.org. Please see the Sponsor and Exhibitor Guide for more details of what is provided with this level of sponsorship. If you are utilizing the event tickets as part of your sponsorship package, after registering, please email those names to admin@firemarshals.org. If you are utilizing the event tickets as part of your sponsorship, after registering, please email those names to admin@firemarshals.org. If you are utilizing the event tickets as part of your sponsorship, after registering, please email that name to admin@firemarshals.org. NASFM will work with the sponsor to design the keepsake item, and have it produced. The attendee badges will be designed to include your logo with NASFM's logo. Your company can supply lanyards, or can defer to using NASFM lanyards. Conference breaks will be announced as sponsored by company with appropriate signage prominently located near refreshments. Conference breaks will be announced as sponsored by company with appropriate signage prominently located near refreshments. Two available. Your company logo and tagline on the daily agenda posted outside meeting rooms. One available each day. After registering your sponsorship, please email your log (in EPS or high quality JPEG format) to admin@firemarshals.org. Conference and Event registration must be completed by July 31st to ensure participation. No registrations will be allowed after this date. Exhibitors: Download the Sponsor and Exhibitor Guide here! If paying by check, please select the "invoice me" option during registration. Your invoice, along with your payment must be received by July 31st. For more information, or if you need assistance in registering please email admin@firemarshals.org or call 307-433-8078.